"Lying on the green hill, sunlight warming her feet. All she could see was blue sky and the grass waving in the wind and tickling her cheek." 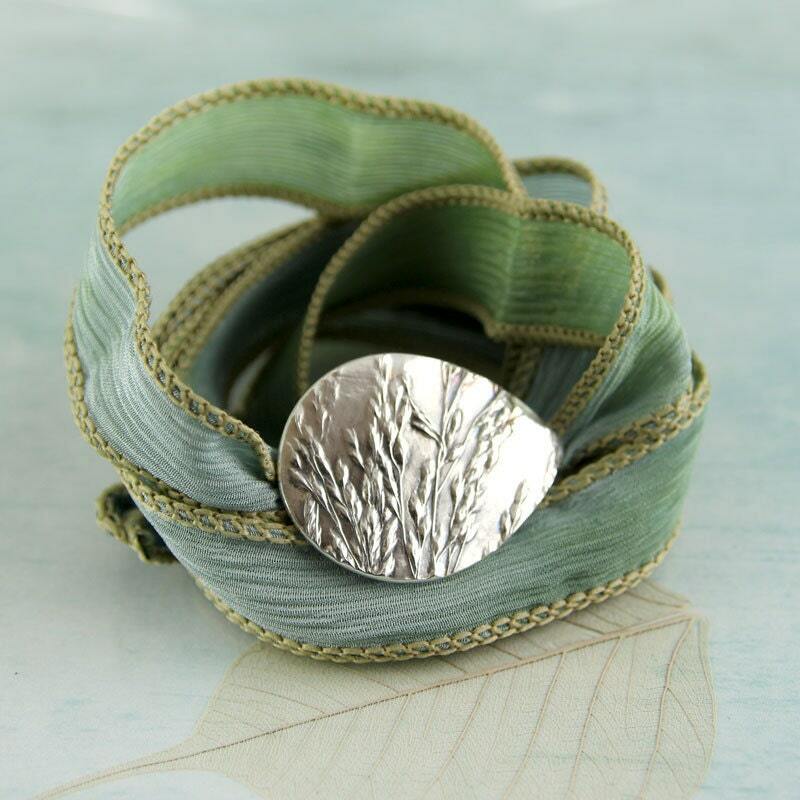 Summer woodland bracelet, impressed with a homemade mould of wild grasses from my nearby park. 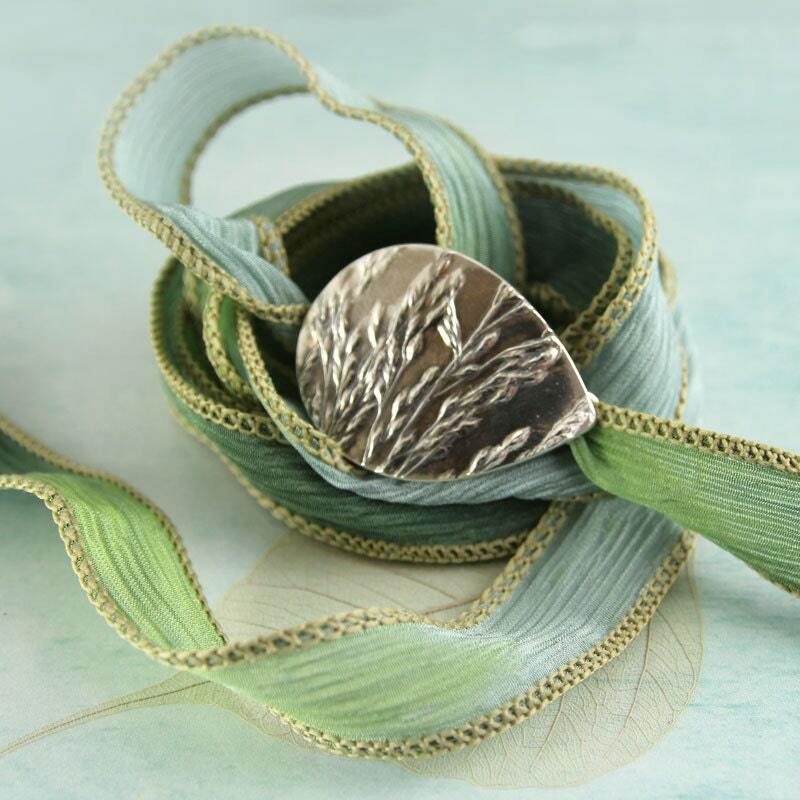 Wrap a beautiful nature slide in a leaf shape around your wrist to show your love of nature. 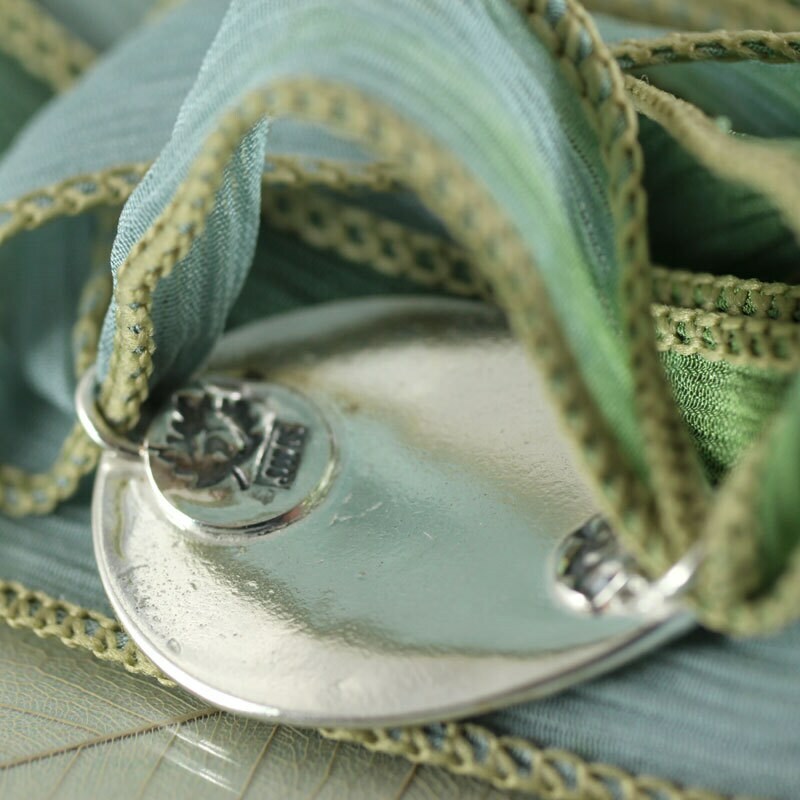 Made from pure recycled silver the leaf is slightly curved to follow your wrist. 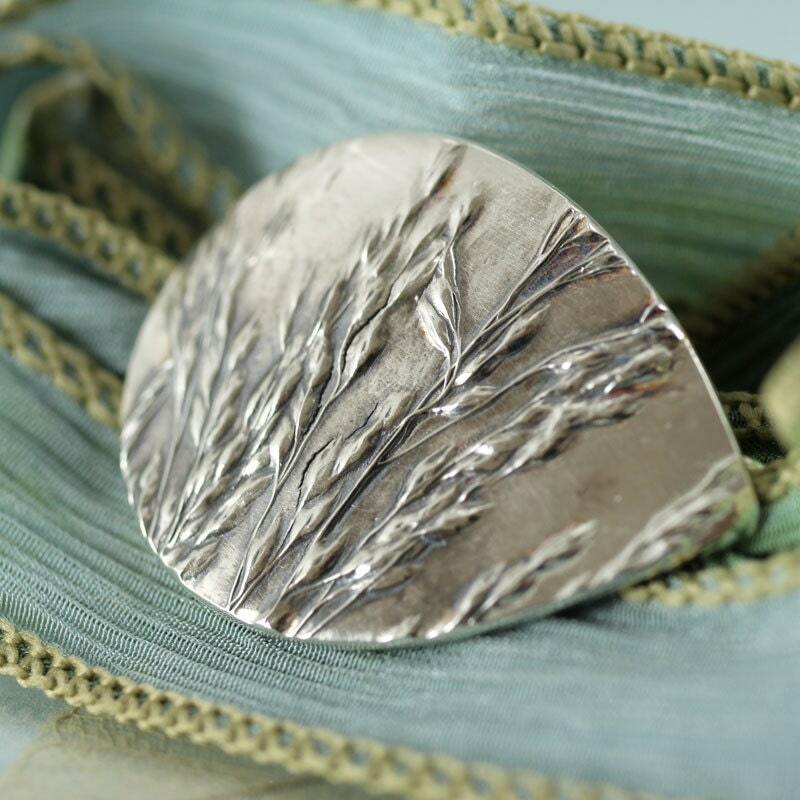 It has been oxidized to bring out the detail of the seed heads. 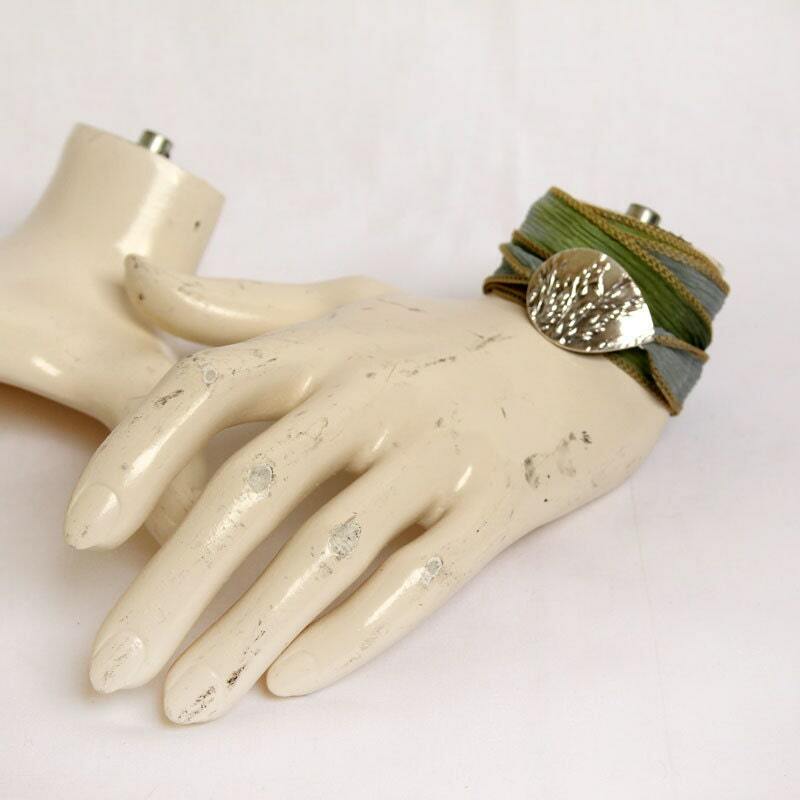 You wrap it to your wrist with a super-soft hand dyed silk ribbon. Tie a small knot and tuck in the ends. Very comfortable and very stylish. 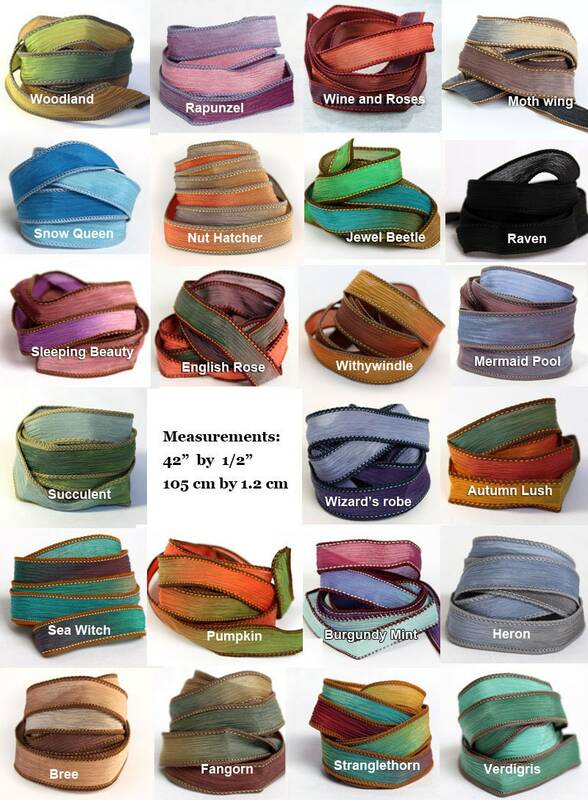 You can choose another colour ribbon if you prefer. Have a look at my current selection in the last photo and choose from the drop down list. 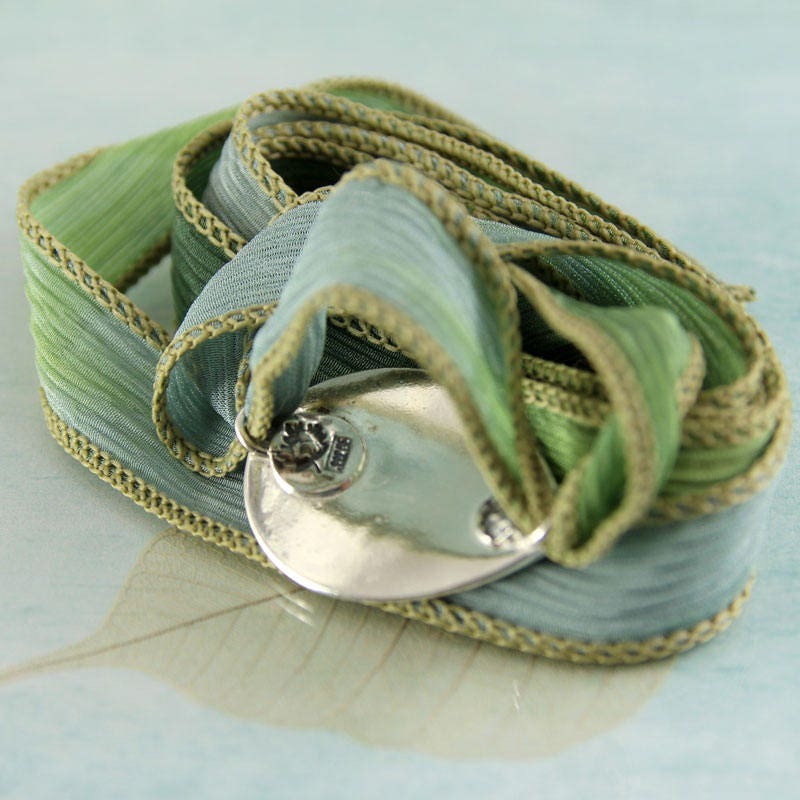 The ribbon in the picture i called "Succulent" in green shades from sage to forest green and of course grass. The leaf measures about 24x33 mm and the silk is a generous 95 cm long. Beautifully crafted. Very true to the pictures on the website. Arrived within 3 days of purchase. Great gift wrap too. It's perfect, I love it. Thank you! Love this bracelet, it arrived very promptly about 2 weeks ago and I haven't taken it off since. It's pretty and not too big and is quite easy to put on, with a little bit of practise. It does come with instruction though.